​A destination par excellence. Playa El Tunco and Sunzal are today two of the most popular destinations among travelers and tourists in El Salvador. There is a story behind this small villages that are neighbors, right next to each other. And if we go back to 1990, El Tunco not even one camping area, people not even camped in the beach, but there were a handful of young Salvadorans that used to go to the beach on the weekends or while on summer school, and stayed at the beach and slept in hammocks just for the love of surfing. Waking up the next day before sunrise to start getting ready to get into the water and catch the wave of the day! In the last decade, El Tunco village development has boosted each year that passes by, from having a dusty offload entrance street to now having a tiles road and sidewalks, from having a hut in front of the beach that served to tend hammocks at night, to having accommodations for all budgets and necessities. From having a lady, La Niña Juanita, to cook for the outcast youngsters that surf her beach, to having so many different restaurant options nowadays, Mexican, Pizza, Burgers, International Food, Veggie, Vegetarian, Japanese, and the local and traditional dish, Pupusas. Among many other changes. The streets have cameras that are connected to the Tourist Police Station inside the village. Sunzal is known as one of the best right point breaks in the country because even on bad choppy windy small days there are going to be some surfable waves out there, maybe not with your usual shortboard, but with the classic longboard without any doubt. This surf spot is perfect because it's friendly with beginners in summer small days (usually from mid December to beginning of March). And it gets crazy fun and challenging on bigger days (when +6 feet swells hit, usually from May to October) This is part of the village's charm to the surfers around the world that have visited, and the new ones. The first surfers to visit the village were from California, and they visited in the 60's before the Salvadoran Civil War started. 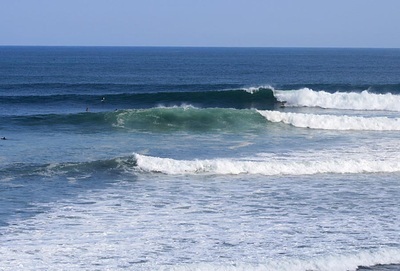 They wanted to explore and discover the coast and ended up finding El Sunzal gem, plus other virgin surf spots. Because only a few surfers from the city had traveled to California just a handful of locals new about the sport, the lineups were close to empty most days during those years. The kids from that generation were fascinated with watching the foreigns to stand in their longboards and ride a wave to the shore. Some of these surfers were kind enough to give the kids surfboards. These kids were the first local surfers in the country. During the Civil War, the influx of international visitors went to a very low point, and the people that live at the beach and lived from the surfers needs, such as food, a place to camp, beer and other beverages were left without their main income. 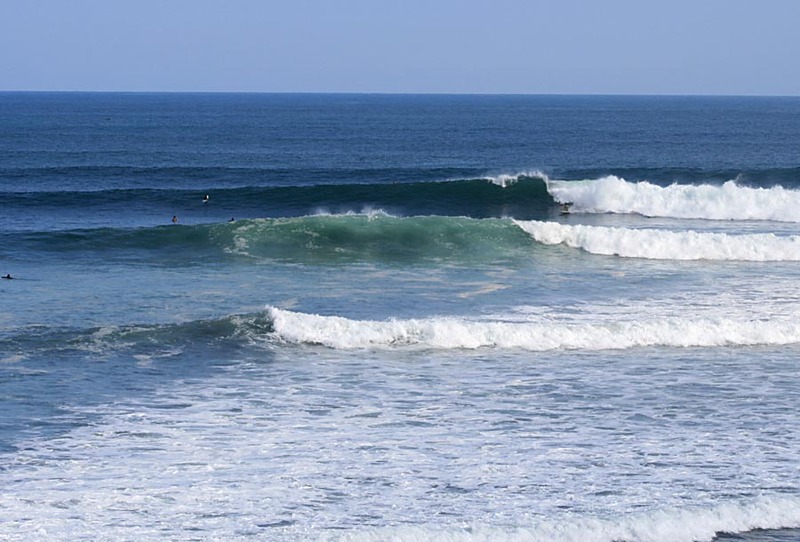 The magic of the place remained bringing some surfers to El Tunco though, and they found in La Juana a refuge, a home in another country, a familiar place next to deserted lineups. With the peace agreements at the beginning of the 90's a lot of youngsters felt finally free to wonder around the land, the country. People would park their cars on the side of the roads, cars carrying surfboards on its rooftops, and coolers were taken out from the trunks of the cars, people would walk downhill a mountain with their boards under their arms, and they started to paddle out as soon as they made it to the beach. By that time, because of opening restaurants and selling beer, La Juana, Luisón and Amelia were the main characters in El Tunco, they offered seafood delicacies at a low price, there were still Colones as a currency. And surfers, both locals and foreigners, would stay at private houses because the caretakers would offer them to spend the night inside and rest. Hanging hammocks in between the coconut and almond trees was never a problem either. 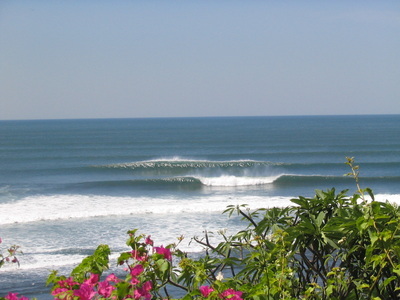 Over the course of time, foreign surfers began to come in larger numbers and the reputation of the local surfers increased. At this point in history live music festivals at the beach and beach bonfire parties were in. For the bonfires, however, the nights of the week didn't matter. This was the time when the first hostels opened their doors, El Tubo, Papaya and Los Surfeadores. And El Tunco acquire a reputation of having a bohemian atmosphere, people from the city started to come with their Batucada bands and began to play their drums, giving rhythm to the nights around the campfires on the beach, allowing surfers and locals to interact in a friendly ambience. That changed a little after some bars and restaurants changed their concept, but still remains in some other beaches. Nowadays, around town there are many hotels and hostels to choose from, there all kind of budgets for surfers and tourists, nationals and internationals. The quality of the food and customer service has improved and adapted to some international tastes, using its own local ingredients the local flavors vary a lot. And places such as Pizza Tunco Veloz, Mopelia, Arigato Sushi, Loroco Bistro, among others, have their customers mouth watering after the first bite. Hotels like La Guitarra, Mopelia, Kayu, Papaya Lodge and Zen offer accommodations in a relax surrounding. The variety of accommodation ranges from dormitories to hostels, from two to four-star hotels with international standards. 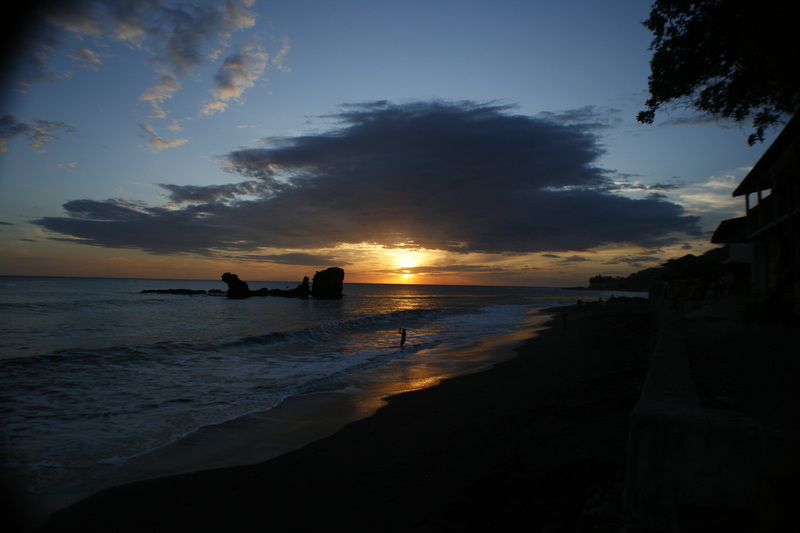 Because the quality of life of its inhabitants and the job opportunity in town, the development of El Tunco is an example to other beaches and communities in the area. There are issues still to be solved, like education, but El Tunco is heading in a promising direction. Direct at the beach, this small surfcamp has six rooms, swimmingpool wifi access and standard rates for couples or small families. First class accommodations with suites totally equipped with the best confort in the village, all the suites equipped with cable tv, A/C, safe box, fridge, coffee machine, queen or king size beds.